Before you can connect with our inspired, solutions-oriented content, we need to confirm that you do, indeed, have a pulse. More than 20 years ago, we started delivering valuable content solutions with our original TV shows that continue to air on popular cable networks. With the launch of our streaming channel BrandStar TV, we’ve now expanded to cover every screen imaginable. BrandStar lives at the intersection of content and commerce, specializing in producing solutions-driven content from conception to completion. Our content marketing provides measurable value to brands by educating and attracting new consumers. We’re the ultimate matchmakers, thanks to our unique content exchange marketplace that links our audience with trusted experts in a wide variety of fields. In short, we connect people to brands to do life better. Military Makeover Operation Career | Season 2 | Episode 13Check out this episode of Military Makeover Operation Career as we highlight a few companies that are doing their part to ensure that the brave men and women who served our country are able to work fulfilling careers after they return from their service. You wont want to miss this! Military Makeover | Season 15 | Episode 1Military Makeover is here to help pay it back to veteran Casey Harrison and his family with a complete renovation of their home in Independence, Mo., a suburb outside of Kansas City. Military Makeover | Season 15 | Episode 2We're back in Kansas City, Missouri with the Harrison family. With the Military Makeover team working around the clock, the Harrison's home makeover is in full force! 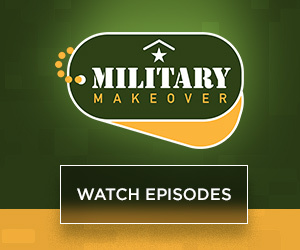 Military makeover | Season 15 | Episode 3The Harrison family makeover continues, and leading companies including Mission Solar, Matco Tools, Rinnai America, and Eaton Corporation offer cutting-edge solutions. Military Makeover | Season 15 | Episode 4The moment we've been waiting for is finally here: The Harrison family's big reveal! Designing Spaces | Season 9 | Episode 20Designing Space Host Debi Marie introduces three topics for summertime upgrades and projects. Most of the action takes place outdoors, where homeowners take on DIY projects. The Balancing Act | Season 8 | Episode 52Learn tips to help check if your child or teen is doing drugs; a SMART gadget guide for back-to-school tablets and smart phones for kids. Designing Spaces | Season 9 | Episode 21Designing Spaces’ Debi Marie and David Jones introduce home upgrades both inside and out. Topics include DIY projects to upgrade the yard and the home entertainment system gets a makeover for simplicity. Designing Spaces | Season 9 | Episode 22Host Debi Marie introduces Designing Spaces of Hope at the Boys and Girls Club of Broward County, in Florida. Designing Spaces and a group of sponsors lend a helping hand to both the facility and the kids who attend. The Balancing Act | Season 8 | Episode 54Getting a degree online and becoming your own boss; the Tech Girls Rock program designed to inspire the next generation in STEM careers; advice on how to avoid fighting over money with your spouse. Designing Spaces | Season 9 | Episode 23Host Debi Marie introduces Designing Spaces of Hope at the Boys and Girls Club of Broward County, in Florida. Designing Spaces and a group of sponsors lend a helping hand to both the facility and the kids who attend. Office Spaces | Season 1 | Episode 11Office Spaces: “The Flex Space Show”. The new Brandstar office has a hidden gem and it’s filled with expensive technology, dynamic furniture, and much more! The Balancing Act | Season 8 | EpisodeViewers go behind the scenes of Rodger's + Hammerstein's Cinderella, a classic tale with a modern twist; plus learn about Corporate Wellness as our Host gets biometric testing on set. Live Life Forward | Season 1 | Episode 1Empowering children to change the world. Military Makeover | Season 2 | Episode 2On this special edition of Military Makeover, we’re standing alongside our four-legged friends as we learn all about the life-changing nonprofit organization, K9s for Warriors. The Balancing Act | Season 8 | Episode 51Entrepreneur opportunity in the beauty industry; Drug & Alcohol Treatment Programs tailored for young adults; online accelerated degree programs that fit your schedule. Mission Makeover | Beyond the Makeover! office Spaces | Season 1 | Episode 10On today’s episode we go geek chic to learn about crucial IT products and infrastructure. We examine fiber optics, cell phone repeaters, access control, security, and digital platform integration. Designing Spaces | Season 9 | Episode 16Home Improvement Goes High Tech” takes on technology and buying a first home, and a look at standby generators. Also, DIY topics include roof leak repairs and understanding sandpaper. We've reached the final Military Makeover episode for Army veteran and Florida resident Aaron Cornelius. Designing Spaces | Season 9 | Episode 17On Designing Spaces’ Think Green, learn more about eco-friendly living for you and your family. This episode takes us around the house, discovering how our homes can become healthier and more efficient. Access Health | Season 4 | Episode 3Colorectal Cancer is the third leading cause of cancer-related deaths in the United States, but it is one of only a few cancers that may be prevented through screening. Mission Makeover | Surprises and beauty treatments! All Mixed Up | Our past winners are back! Live Life Forward | Season 1 | Episode 7Live Life Forward honors the legacy of Gold Star American Hero, Mark De Alencar while witnessing a day that his family will never forget. The Balancing Act | Season 8 | Episode 46The Balancing Act Goes Natural with tips and advice on getting beach body ready with a healthy lifestyle and an all-natural multi-tasking product. MM Operation Career | Season 2 | Episode 1On this edition of Military Makeover: Operation Career with Montel Williams, we're taking a behind-the-scenes look at four major corporations at the forefront of recruiting veterans and active military personnel. Live Life Forward | Season 2 | Episode 1A Magical Village spreads love all over the world while bringing dreams to life, one wish child at a time. Military Makeover | Season 14 | Episode 1Watch as the Military Makeover team begins their transformation on the Cornelius' outdated home. Military Makeover | Season 14 | Episode 2Military Makeover's journey with Army veteran and Florida resident Aaron Cornelius, who was permanently blinded from a powerful IED blast in Iraq, continues in Bradenton, about an hour south of Tampa. Designing Spaces | Season 9 | Episode 18Renovations and Retrofits” looks at a new security system and the value of a water softening system. Also, a look at DIY flooring. Designing Spaces | Season 8 | Episode 16Host Ted Brunson introduces three topics for a greener home and lifestyle in this edition of Think Green. Topics: controlling HVAC for efficient heating and cooling, saving on waste water and unique ICF block structures. All Mixed Up | Season 1 | Episode 13 Chefs cook against the clock to make the best appetizers in order to win the first round. Mission Makeover | Season 3 | Episode 6We see how this Mission Makeover journey is impacting the close friends and family members of our ladies and how important it is to have a support system. Military Makeover Operation Career | Season 1 |Episode 4We're back with another episode of Military Makeover: Operation Career. Learn about four extraordinary companies interested in hiring vets and military personnel. Designing Spaces | Season 9 | Episode 13Designing Spaces of Hope has teamed up with Rebuilding Together to help Joy Stewart and her four grandkids have a safe and healthy place to live. Part 2 of a three part series: communications, financial help and blinds! Military Makeover | Season 13 | Episode 1Creating a safe and cozy home for the Ewing's with the help of Nixplay customizeable digital frames, ADT's home security system, and Home Depot's amazing appliance department. Inside the Blueprint | Artistic Acoustics. Smart Furniture and Go Fan Yourself! Inside the Blueprint | Season 4 |Episode 1Solutions that are acoustic and artistic, an idea that started on a paper napkin, has been revolutionizing big fanperformance ever since. Plus furniture that's so smart it cananticipate your every need. Access Health | Season 1 | Episode 1On today's episode we're talking about the connection between brain and body and how you can take action to prevent negative toxic thoughts and emotions from creating some serious health problems i your life. The Balancing Act | Season 8 | Episode 11 The Everyday Gourmet Series heads to The Balancing Act kitchen to cook up personalized noodle dishes; plus learn how to find the best educational match for your pre-schooler. Designing Spaces | Season 8 | Episode 6Debi Marie and David Jones present a special edition of Kid Spaces: lending a hand to Kids In Distress, an organization that works towards providing shelter for young victims of abuse and neglect. The Balancing Act | Season 8 | Episode 21 Learn the three steps to help empower women in their financial and personal lives and build a solid foundation for themselves and their families. The Balancing Act | Season 8 | Episode 26 The Balancing Act heads to the kitchen to cook up a festive meal with natural tortillas; plus takes a look at how physical rehabilitation works and who can benefit from it. The Balancing Act | Season 8 | Episode 31 Today's show takes you Behind the Mystery of a common hereditary bleeding disorder: von Willebrand Disease; plus the Balancing Act heads to the kitchen to cook up a fun breakfast recipe of customizable noodle omelets. Designing Spaces | Season 8 | Episode 11Host Ted Brunson introduces three topics for a greener home and lifestyle in this edition of Think Green. Topics: monitoring home energy consumption; energy efficient windows; the future of coal fueled power plants. The Balancing Act | Season 8 | Episode 56Today's focus is on health and beauty: reduce the signs of aging and reclaim your beautiful skin, cook up tasty healthy bean-based meals, RESTORE your gut health for a healthier you. The Balancing Act | Season 12 | Episode 12Welcome back to The Balancing Act! We’re taking you behind the scenes of a Broadway hit. Then, stay tuned as we go inside the pages of two leading publications, Porthole Cruise Magazine and First for Women. Designing Spaces | Season 14 | Episode 3Learning how to make the air in our homes of the highest grade, accompanied with beautifully painted walls, and a mortgage plan right for your needs. The Balancing Act | Season 8 | Episode 66An easy recipe for Hawaiian pork with a noodle twist; easier shopping with smart nutrition labels; a faith-based program that offers recovering addicts promising treatment options. The Balancing Act | Season 8 | Episode 71Understanding Pediatric Growth Hormone Deficiency - the causes and promising new treatment options; a hidden gem of higher education that focuses on health sciences. Access Health | Season 3 | Episode 1Sticking to our New Year’s Resolutions, fat binders and breathing your way to a better nights rest. Designing Spaces | Season 8 | Episode 17Designing Space Host Debi Marie introduces three topics contributing to smart and safe living and how to achieve these two interlocking qualities in your home. Topics: new carpets, new technology for TV, and storage. All Mixed Up | Season 1 | Episode 2The competition continues to be the winner of the first All Mixed Up Season 1. This is the Entree round. Plus, the chefs have a mini competition for a Dinner at the Rusty Pelican. Mission Makeover | Season 3 | Episode 7All work and no play is not only dull but counterproductive. The ladies are half-way through their Mission Makeover journey so they cut loose with Julie Moran, get some mid-way progress reports and go on a girls only trip. The Balancing Act | Season 8 | Episode 2 Today's show is all about relief from common ailments; learn about acne and treatment options, migraines and a smartphone app, and advanced solutions for knee pain. Military Makeover Operation Career | Season 1 |Episode 5On this episode of Military Makeover: Operation Career, we're taking a look at a few leading companies dedicated to serving active and retired military. The Balancing Act | Season 8 | Episode 7 Take the stress out of tax season with DIY tax tools, reduce wrinkles and refresh facial skin, plus head to the kitchen to dish up better food options with quinoa recipes. Designing Spaces | Season 9 | Episode 14Think Green topics include moisture barriers for new home construction, electric lawn tools, eco-minded auto air filters and hydronic heating for houses. Military Makeover | Season 13 | Episode 2As our Military Makeover moves into the final stages, comfortable and reliable furniture turns a renovated house into a home. Join us on our journey as we update the home of Gold star family, the Ewings. Live Life Forward | Season 1 | Episode 6On this episode of Live Life Forward Adrian Paul our host, journey's to Spokane Washington to an organization that is making a difference in the homeless population. Inside the Blueprint | Season 4 |Episode 2We're hitting the road in search of the best in innovation. The most daring in design. And the hottest and coolest in building technology. Access Health | Season 1 | Episode 2 On today's episode of Access Health is about overcoming inertia or getting started. The Balancing Act | Season 8 | Episode 12 Today's show focuses on your health, with new treatment options through regenerative medicine for pelvic floor disorders, and a breast cancer index screening test for cancer survivors. Designing Spaces | Season 8 | Episode 7Designing Spaces hosts Debi Marie and David Jones present three stories dealing with makeovers for both inside the home and outside. 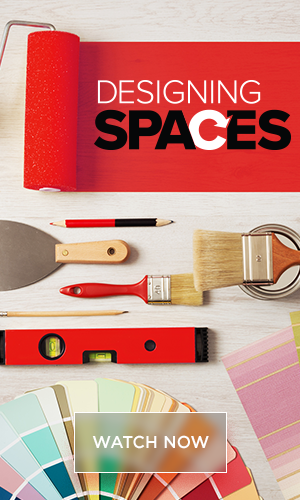 See more home improvement ideas from your friends at Designing Spaces. The Balancing Act | Season 8 | Episode 17 Today's show is full of sweet talk - learn about the sweet side of fiber with a sweet product that is good for your gut, plus sleep tips on how to stick to a routine at night to ensure you have sweet dreams. Office Spaces | Season 1 | Episode 12The BrandStar building is almost complete, but now it’s time to create some much needed curb appeal. Join us for "The Outdoor Show"! Designing Spaces | Season 9 | Episode 19Designing Spaces’ Debi Marie and David Jones introduce three topics for creating a home that spends a little to save a lot in the long run. Be pennywise; watch Designing Spaces! The Balancing Act | Season 8 | Episode 32Meet Wanda, a unique doll part of a Tooth Fairy kit for kids; plus see an organic hair care line for women. Designing Spaces | Season 8 | Episode 12Host Debi Marie visits the Big Dog Ranch in Wellington Florida. Big Dog Ranch is a no-kill shelter located on 28 acres of land in Wellington, Florida. We see dogs adopted and learn about basic canine care and health. The Balancing Act | Season 8 | Episode 37Head South-of-the-Border to explore all-inclusive family-friendly vacations; learn about "skin age" through a fun interactive test, and how to lower it! The Balancing Act | Season 8 | Episode 42Improve your healthcare with the help of a local pharmacist who can help you manage allergies and asthma; also turn back the hands of time without surgery...see how! Designing Spaces | Season 14 | Episode 4Interior designer, Alena Capra, is renovating the kitchen, butlers pantry and laundry room of this beautiful luxury home. Join us as she guides her clients through all the gorgeous options available for their new home. Designing Spaces | Season 14 | Episode 9Powering your home and ensuring your pool is in tip-top shape is a worry of the past thanks to innovations in the world of home care and improvement. Designing Spaces | Season 8 | Episode 18Host Debi Marie presents the first Designing Spaces Holiday Special for the 2012 season. Featured is a look at family portraits, setting a holiday table, outdoor wear, and holiday cleaning. All Mixed Up | Season 1 | Episode 3It all comes does to the final round, desserts. Who will have the most starts to be out first All Mixed Up Champion. Mission Makeover | Season 3 | Episode 8Sticking with our Mission Makeover mantra of enacting "change from the inside out and outside in" we tap into the "intagibles" that can affect the ladies success. the ladies look to find their inner winner, it's time to dig! The Balancing Act | Season 8 | Episode 3 New Year, New Food Resolutions? Today's show is a must-see for everyone who wants to eat healthier starting with organic fruits and vegetables fresh from the farm to your plate. Military Makeover Operation Career | Season 1 |Episode 6 We're checking our companies that strive to make a difference in the lives of our country's veterans–from health services to franchise opportunities. The Balancing Act | Season 8 | Episode 8 Today's show offers tips on paying down big bills faster, and heads to the Balancing Act kitchen to cook up an easy and delicious meal with no cleanup. Designing Spaces | Season 9 | Episode 15Designing Spaces of Hope has teamed up with Rebuilding Together to help Joy Stewart and her four grandkids have a safe and healthy place to live. Part 3 of a three part series: furnishings, décor and the final reveal! Military Makeover | Season 13 | Episode 3As the Ewing home nears completion the family has some unexpected surprises waiting for them. Find out more on this episode of Military Makeover! Inside the Blueprint | Innovative Influencers, Daring Designs, and Cool Commercial Construction. Inside the Blueprint | Season 4 |Episode 3We're hitting the road in search of the world's most innovative influencers, the most daring in design, and the coolest in commercial construction. Access Health | PNH Are You At Risk? Access Health | Season 1 | Episode 3This episode of Access Health is dedicated to an extremely rare disease called PHN-Paroxysmal Nocturnal Hemoglobinuria -Join us as we visit with a world renowned Hematologist and 2 patients share their journeys to diagnosis. The Balancing Act | Season 8 | Episode 13 Explore easy and efficient ways to shop and compare car insurance, plus see how to refresh your skin using a non-invasive cosmetic procedure. Designing Spaces | Season 8 | Episode 8Debi Marie and David Jones present a special edition of Kid Spaces: lending a hand to Kids In Distress, an organization that works towards providing shelter for young victims of abuse and neglect. The Balancing Act | Season 8 | Episode 18 Today's show is about family: get to know your local pharmacist like family; first step and family support in overcoming addiction; discover how cutting-edge tablets keep families connected. Office Spaces | Recap of Season One and Look Ahead to Season Two! Office Spaces | Season 1 | Episode 13The BrandStar space is finally complete and we couldn’t have done it without the help of our tremendous team of participants. The Balancing Act | Season 8 | Episode 23 Today's show is all about empowering women; from learning the truth about GMO's, becoming a successful e-commerce entrepreneur, firearm safety to hi-tech tablets for kids. The Balancing Act | Season 8 | Episode 28 May is National Asthma and Allergy Awareness Month and in support, The Balancing Act dedicates a full program to raise awareness and offer helpful information to those who suffer and their families. Designing Spaces | Season 8 | Episode 13Designing Spaces host Debi Marie introduces three technology subjects that contribute to better and easier living at home. Topics: the future of home networking systems; electrical hidden hazards; finding the right apartment. The Balancing Act | Season 8 | Episode 38Today's show talks preterm birth and focuses on the importance of bringing babies to full term, or 40-weeks. The Balancing Act | Season 8 | Episode 58"Be the Change" looks at how Denny's is helping feed America; explore the open waters with cruise options Italian style; stay connected to your health numbers with mobile health care products. Military Makeover | Even More Companies Unite to Support the Middleton Family! Military Makeover |Season 17 | Episode 4As the big reveal nears, the Middleton home makeover is in overdrive! Stay tuned as we introduce you to even more companies making this renovation one to remember. Designing Spaces | Season 14 | Episode 5Learn how to get the most out of your home with water heaters, filtration systems, and lawn tools that make a happy and simple life possible. The Balancing Act | Season 8 | Episode 68Behind the Scenes of touring Broadway musical IF/THEN that follows two life paths for a modern women; Behind the Mystery of a rare and chronic lung disease, NTM that presents with common symptoms. Designing Spaces | Season 14 | Episode 10On this episode of Designing Spaces, Xfinity® Home from Comcast sponsors a smart home makeover with the company's latest innovations in automative devices, which keeps homes secure and connected. Access Health | Season 3 | Episode 3Join us for a special edition of Access Health, Behind the Mystery as host, Ereka Vetrini, travels to New York city to visit with Cat Ahmed Davis from the FH Foundation to find out more about this underdiagnosed condition. Designing Spaces | Season 8 | Episode 19Host Debi Marie presents the second Designing Spaces Holiday Special for the 2012 season. The line-up features home safety tips for the holidays, personalized gifting and creating the connected home. Mission Makeover | Season 3 | Episode 9Et voila. It’s race day! The ladies are almost finished with their mission, and today they mark their journey with a milestone achievement: they all intend to start and finish their very first 5K Race. The Balancing Act | Season 8 | Episode 4 On today's show, learn how to get a quality night's sleep with a simple tip; plus hear about a clinically proven treatment that can also help. Military Makeover Operation Career | Season 1 |Episode 7 On this episode of Military Makeover: Operation Career, discover four companies helping veterans transition back into civilian life with exciting career opportunities. The Balancing Act | Season 8 | Episode 9 Today's show shares a special Secret romantic destination luxury escape, tips on how to sleep better at night; plus how a smartphone app identifies food allergies in real time. In the Blueprint | Season 4 |Episode 4On this episode of Inside the Blueprint, get tips on office decor, window shades, plumbing, and space-saving storage solutions. The Balancing Act | Season 8 | Episode 14 Today's show focuses on empowerment! Learn about an initiative that inspires parents and teens to be safe drivers, how to create a sleep-friendly environment and an organization helping women become successful business owners. Designing Spaces | Season 8 | Episode 9Designing Spaces host Debi Marie is at the Gumbo Limbo Nature Center in Boca Raton Florida to present three topics for greener living. Topics covered: energy efficient windows, digital HVAC controls and recycling. office Spaces | Season 1 | Episode 2The construction process begins for Office Spaces. The General Contractor, BSA, is assigned for the project along with the Architect, Icon Design Group, and Demolition starts with Riteway Demolition. Wausau windows are installed by BnT, the flooring is treated and the walls are decorated using Super Krete. Finally, Wiring.com handles all the complex wiring for the building. All Mixed Up | Our three Student Chefs cook up three Appetizers using unique ingredients. All Mixed Up |Season 2 | Episode 1Meet our three Student Chefs and find out who will enter next week’s Entrée round with the most stars. The Balancing Act | Season 8 | Episode 24 Learn how community minded locally-owned pharmacies work closely with patients and can help with diabetes management and much more. The Balancing Act | Season 8 | Episode 29 Learn tips on how to allergen-proof your home, great gluten-free recipes with flax-based products, plus the latest in sponge deep-cleaning technology. Designing Spaces | Season 8 | Episode 14Designing Spaces Host Debi Marie presents another edition of Kid Spaces. Three topics presented: the latest gaming technology; the bond between kids and dogs; and a new device to protect children from electrical shock. The Balancing Act | Season 8 | Episode 39Today's show offers hope to the many couples, 1 in 7 in fact, struggling with infertility and trying to get pregnant. The Balancing Act | Season 8 | Episode 59Today's show shines the spotlight on protecting your family with life insurance, programs that train the trainer, urgent care to feel great with no wait, easy beef recipes. Designing Spaces | Season 11 | Episode 19On this edition of Think Green, we focus on the money side of living greener. The environment is always at the forefront, but green technology is contributing to living more economical lifestyles. The Balancing Act | Season 8 | Episode 69Ramen noodles with a Greek/Italian twist; Spotting GMOs in your family's food; a holistic approach to addiction treatment programs; how to choose the right makeup color to match complexion. Designing Spaces | Season 14 | Episode 11This episode of Designing Spaces covers all aspects of your home, from Internet speed to bathroom renovations and high-impact defense windows. Access Health | Season 3 | Episode 4An innovative solution for managing the pain associated with Oral Mucositis, stress free mattress shopping and minimally invasive surgery just got less invasive. Designing Spaces | Season 8 | Episode 20Tis' the season for technology!Great ideas for gift giving, on today's special Holiday episode. All Mixed Up | See who wins series 2 off All Mixed Up and a trip to Trinidad! All Mixed Up |Season 2 | Episode 3The three student Chefs embark on their first dish in the desert round. The Balancing Act | Season 8 | Episode 5 Today's show is filled with ways to kick off the New Year with easy work lunches, a gum that gives a healthy boost of energy, home organizing solutions; plus addiction and making a fresh start. Military Makeover Operation Career | Season 1 |Episode 8 On this episode of Military Makeover: Operation Career, we're bringing you three remarkable stories about veterans who transitioned into the civilian workforce with new and exciting careers. The Balancing Act | Season 8 | Episode 10 Delve into the complicated world of your credit score and learn of an on-line tool to help manage and protect it to improve your financial life; plus hear about options for seniors living with memory impairment. Live Life Forward | Season 1 | Episode 2Investing in the young and young at heart-- helping our aging population live more fulfilling lives and children helping other children and more, through volunteerism. Highlighting Caesar's Entertainment and Project Change. 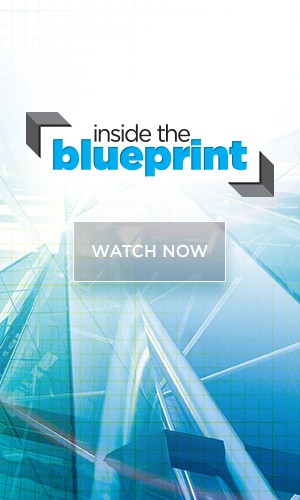 Inside the Blueprint | Season 4 |Episode 5 On this episode of Inside the Blueprint, we explore affordable innovations and solutions for construction, home renovations, and workplace redesigns. Access Health | Season 1 | Episode 5On today's episode we are talking about MS and Relapsing-Remitting Multiple Sclerosis and the importance of crafting a treatment plan that is strictly designed for the individual patient. The Balancing Act | Season 8 | Episode 15 Today's show focuses on health - quality inpatient care and pet health and nutrition; plus the importance of personal connection through custom printing. Designing Spaces | Season 8 | Episode 10Host Debi Marie presents the third Designing Spaces Holiday Special for the 2012 season, with a look at creating warm holiday memories, not just our own personal memories, but how we create them for others. The Balancing Act | Season 8 | Episode 20 Learn how to hit the road...safely... with tips on taking care of your tires; plus hear how to manage IBS or other intestinal disorders with a naturally protein sourced medical food. office Spaces | Season 1 | Episode 2The construction process continues for Office Spaces. Interior Designer, Kalyn Rothaus, finds a great way to virtually show her clients, Mark and Carmen, around the building using visual software from VIMtrek. Installers from Karndean get to work installing the luxury vinyl tile throughout the building, CARVART creates colored glass partitions to separate offices, conference rooms, and work spaces, and Lacava brings in the mirrors, vanities, and LED lights that will be used for the bathrooms. The Balancing Act | Season 8 | Episode 25 See the latest in tablet technology for work and play, designed with women's needs in mind; hear about a novel treatment for the skin condition Infantile Hemangioma, commonly known as a "strawberry patch". The Balancing Act | Season 8 | Episode 30Learn about a special pharmacy that cares for cystic fibrosis patients, safe use of antibiotics in farm animals, and affordable high-tech technology without tradeoffs. The Balancing Act | Season 8 | Episode 35Olympic Gold Medalist and mom Kerri Walsh Jennings talks protein options to achieve your personal best; plus tips on finding your fragrance - watch as Julie Moran tests her ability to recognize scents while blindfolded! Designing Spaces | Season 8 | Episode 15Designing Space Host Debi Marie introduces three topics that will have homeowners feeling more secure about their homes. Topics covered: home fire sprinklers, new shower glass, and choosing a home safe. The Balancing Act | Season 8 | Episode 60Head to the kitchen for this Quick Bytes with Chef Ralph Pagano segment for tips on juicing; advice for women on protecting a family's financial future with life insurance . Designing Spaces | Season 14 | Episode 12This episode of Designing Spaces, we're covering all things outdoors. The Balancing Act | Season 8 | Episode 75Online education that's military friendly; advances in non-invasive weight loss procedures; all-natural skin care from the honeycomb; how to keep your car clean. 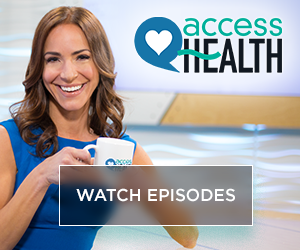 Access Health | Season 3 | Episode 5The latest on a new treatment for patients with Thyroid Cancer, non-invasive screening options for expectant mothers and saying so long to surgical scars. Military Makeover | We're Traveling to Missouri to Meet the Moyers! Military Makeover | Season 16 | Episode 1Despite experiencing some of the happiest moments of his life from his time in the Air Force, Matt Moyers also carries seen and unseen wounds from his service. Military Makeover | Season 16 | Episode 2We're kicking off the Moyers makeover with The Home Depot, Behr, NBKC Bank, Curves, and more! Military Makeover | Watch the Moyers Home Transform! Military Makeover | Season 16 | Episode 3We're continuing the Moyers family renovation with our favorite Military Makeover partners, from ADT and Behr, to StorageMart, RCA, Libbey, and more. 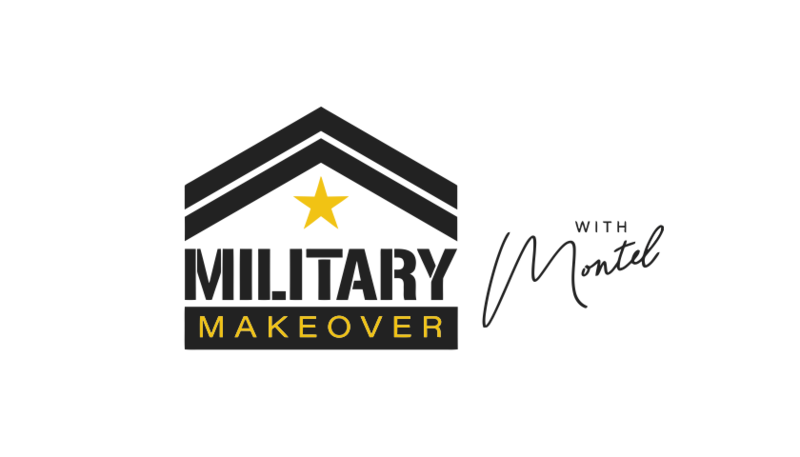 Military Makeover | Season 16 | Episode 4Watch as Air Force veteran Matt Moyers and his wife Rachel get to see their renovated Missouri home for the first time. Designing Spaces | Season 9 | Episode 28Host Debi Marie introduces Designing Spaces of Hope at the Boys and Girls Club of Broward County, in Pompano Beach, Florida with some great back to school ideas for parents everywhere. Episode 2 of 2. Designing Spaces | Season 9 | Episode 31Designing Spaces’ Kid Spaces is the show all about you and your kids; their home and lifestyle. Today’s topics cover technology that helps kids learn, and a trip down south for a family friendly getaway destination. Military Makeover Operation Career | Season 2 | Episode 3On this episode of Military Makeover: Operation Career, we're discovering three companies with exceptional programs and benefits for our nation's veterans. Designing Spaces | Season 9 | Episode 29Designing Space Host Debi Marie introduces three topics that places your household squarely into the technology zone. Access Health | Season 4 | Episode 6For the millions of people who need to catheterize, choosing the right equipment can make all the difference. Coloplast’s mission is to make life easier for people with these intimate healthcare needs. All Mixed up | Meet out new Chefs for this season! All Mixed up | See who wins series 5 of All Mixed Up and the $2000 Prize. Military Makeover | Season 17 | Episode 1The Middleton family-- The newest family to receive a Military Makeover! Military Makeover | Season 17 | EpisodeWe're embarking on the latest season of Military Makeover with the Middletons. Get ready as we introduce you to a few of the companies making this renovation our best one yet! Military Makeover | Looking more and more like a home. Military Makeover | Season 17 | Episode 3As the Middletons home makeover is coming along, their house is starting to look more and more like a home. On this episode of Military Makeover the Middletons home gets a much needed visit from the insulation experts at Knauf Insulation. Plus you won't want to miss the interview with Altva Holdings as they educate the Middletons on the varieties of therapy options. Check it out! Designing Spaces | Season 13 | Episode 6Transforms the backyard & quality of life experience with outdoor patio pergola technology and simple and easy solutions to add beautiful, vibrant color in your garden! The Balancing Act | Season 8 | Episode 77A life-threatening rare type of pulmonary hypertension, and a pharmaceutical project that's fighting it; a behind-the-scenes look at the upcoming production of "The Wizard of Oz"
Designing Spaces | DIY essentials that adds style and beauty to your home! Designing Spaces | Season 13 | Episode 7Today we will be showing an alternative to buying a home and a versatile way of cleaning. Plus add beauty, style and function to your garden with vibrant colors and hammocks. And tips on keeping the home safe. Designing Spaces | Season 13 | Episode 1Increase the value and beauty of your home by making upgrades to your bathroom, entry way, using glass art and more! Military Makeover Operation Career | Season 1 |Episode 1Watch how the Ewings learn valuable information that can assist in their transition from military to civilian life. Designing Spaces | Season 13 | Episode 2We show you great ways to protect your furniture, touching up flooring and tips to get organized. Also we review some loan options and how you protect and beautifully frame your past & present images! Military Makeover Operation Career | Season 1 |Episode 2As a veteran makes the transition from service to civilian life, it's crucial to find a company and career that understands their time served in the military. Office Spaces | Season 1 | Episode 4With so many moving parts happening at the same time, it’s important to keep thinking about the big picture. This is the light show. Military Makeover Operation Career | Season 1 |Episode 3Veterans leave the military with an invaluable set of skills. Check out the companies making it possible for them to find fulfilling careers after their service. Live Life Forward | Season 1 | Episode 3Investing in the future- helping children around the world and here at home through education, mentoring and volunteerism. Plus helping our four legged friends. The Balancing Act | Season 5 | Episode 1Functional beverages and natural remedies to help cope with arthritis, all today on The Balancing Act. All Mixed Up | Our three Student Chefs cook up two more Entrees using unique ingredients. Today's show focuses on raising awareness about hunger in America and one non-profit and one company who are working together to help the millions who suffer each year. Military Makeover | Season 8 | Episode 1The Military Makeover Team & partners are back to make a difference in the lives of the Phinizy family! While Billy, Lauren and their two small children are faced with challenges, they remain hardworking and humble. Inside the Blueprint | Season 4 |Episode 6On this episode of Inside the Blueprint, we're hitting the road in search of the most innovative in design and construction. Designing Spaces | Season 8 | Episode 1Designing Spaces hosts Debi Marie and David Jones take a look at summertime improvements. Topics include a new toilet, a home safe, and stylish vinyl siding, all to make your home and lifestyle better.